All the results of the November 12th local government elections should be available by the end of the following day, according to Chief Election Officer (CEO) Keith Lowenfield, who yesterday assured that preparations for voting by both the disciplined services and civilians are on track. “In my estimation, I don’t anticipate beyond the 13th, by the end of the 13th and that will only be for me for [Region] Four because all the others, [which are] relatively small Local Authority Areas, should conclude their business by midnight and be prepared to issue those certificates for those who would have been elected,” Lowenfield told a press conference. He stressed that given the fact that the largest municipality is Georgetown, counting may take longer than in other Local Authority Areas (LAAs). There are a total of 1,674 polling stations for the polls, including 272 private residences. There are 80 LAAs. 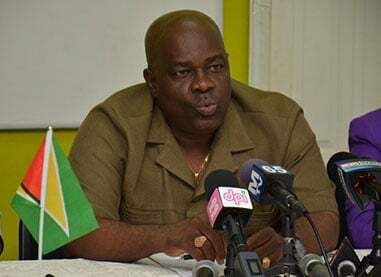 Lowenfield also told reporters that training of polling day staff, numbering approximately 10,700, has concluded and they should be employed definitively from November 2nd to facilitate mock polls and to familiarise them with their respective polling stations. The installation of Notices of Poll at the various polling stations has already started and should conclude on November 2nd. “So all electors will know approximately ten days prior to elections the locations where they will be voting,” Lowenfield, who was joined by his deputy Roxanne Myers and the Public Relations Officer Yolanda Ward, said. He said, too, that following a public appeal only the Private Sector Commission, the Public Service Union and the Canadian and United States embassies have applied to be observers. 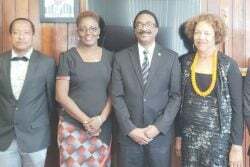 The Guyana Elections Commission, following a meeting, approved their participation. Lowenfield, while pointing out that “very few” groups responded to the appeal, said that he is not aware of any application for observer status being turned down. Questions have been raised about the qualifications of candidates that are outlined in Section 40 of the Local Authorities (Elections) Act, which states in part that such a person must not have a criminal record and must be able to read and write English. Asked what measures are in place to ensure that all the candidates meet the criteria, Lowenfield said that this was an issue addressed on nomination day. “We have gone past the nomination day process and hopefully all the candidates who would have applied, they would have satisfied that criminal subset of the criteria. 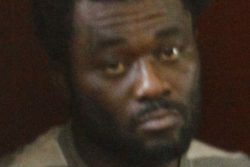 You know we don’t have an investigative arm and we accept applications with the view that all those who would have applied as candidates they would have satisfied the criteria,” he said. 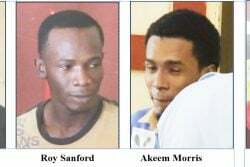 Lowenfield, in providing a rundown of key activities ahead of elections day, said the ballots, which were procured from Canadian Bank Note, arrived in Guyana on October 22nd and are “tightly secured” by the police. GECOM officials have, however, extracted ballots for the disciplined services (Guyana Police Force, Guyana Defence Force, Guyana Prison Service and Guyana Fire Service) ranks, who are required to vote by law on November 2nd. “We have completed that. We have extracted those ballots. We’ve sorted them out by polling station, that is to say when we extract, we take it to the location where the rank is currently stationed and balloting will take place at those locations,” he explained. “Our preparations for the conduct of disciplined services balloting is very well advanced,” he further said, before noting that earlier in the day he briefed stakeholders on all the moves for ranks and to request of them their own involvement in the provision of agents or scrutineers to be part of that process. “We are on the way to deliver an efficient elections,” he assured. Meanwhile, Myers reminded that the period for application for proxy voting is open and will close on November 2nd. She said presently Returning Officers are issuing those application forms. The granting of the application will be based on an investigation, which will be done by the Returning Officer and party agents, and appointments will be issued on November 8th for the approved applications. The proxy voting applies to certain categories of people who are unable to present themselves at the polling station on elections day. Meanwhile, persons who had conducted transactions for ID cards at the various registration offices are being urged to collect same since it is an essential component of the voting process.